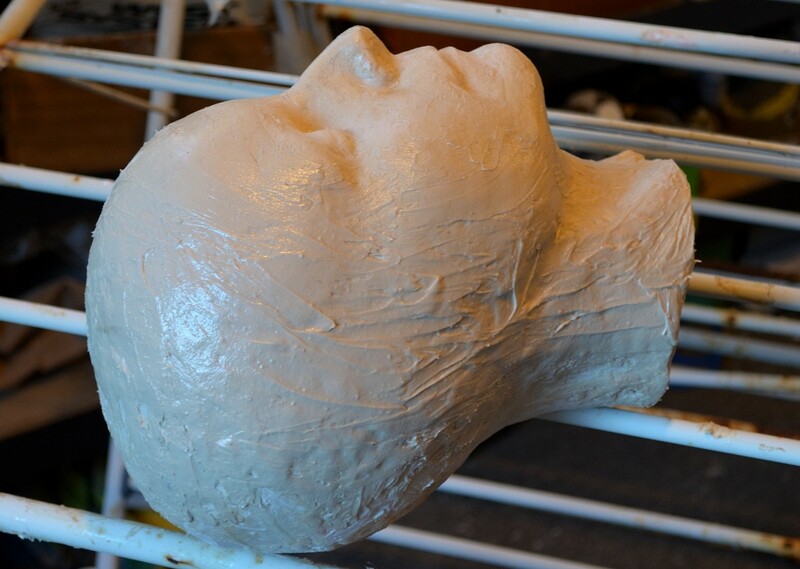 AND HEAD CAST FINAL BOGGING, I HOPE! I will be able to trial the mouse sander tomorrow 🙂 Actual mouse sander that has proper accessories and exhaust which means no burning through motors! Also it is super light. This was very important. No new ear casts because I am about to start to slow walk to bed. Basically back filled the side seams that had opened while sanding back and evening up what needs to be evened and then able to be cut back. I didn’t realise how much extra I had added in my effort to join the two halves together. So after this I will be able to back fill and shove on a spike pipe so as to be able to work some clay on that face! I’ll have to leave the surface a bit rough to help the clay hold. But very happy to get this to the no more resin stage! Except my ears. Darnnit!! !